OC Mom Blog: HAPPY APRIL FOOLS DAY!! We had the best time this past April Fool's Day! We played lots of tricks on each other! These were some of my favorite tricks I played on the kids! 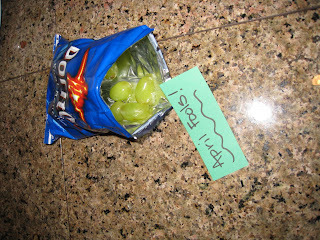 We dumped out their chips and put grapes and a note in their chip bags. My husband and I sealed the bag closed with glue. When they opened them at lunch time they got a big surprise!! 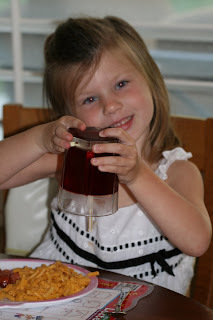 At Dinnertime I put jello in their glasses with a straw. 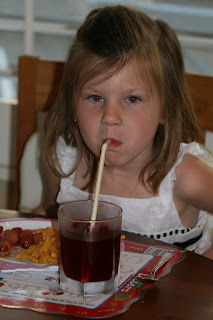 When the kids sat down to drink what they thought was juice....nothing came out!! 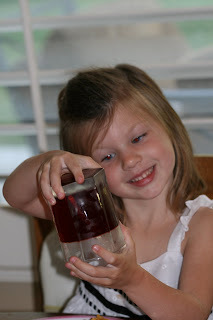 They soon realized that it was Jello....and they were laughing so hard!! We hope that you and your kids had a fun time playing April Fools jokes on each other! !